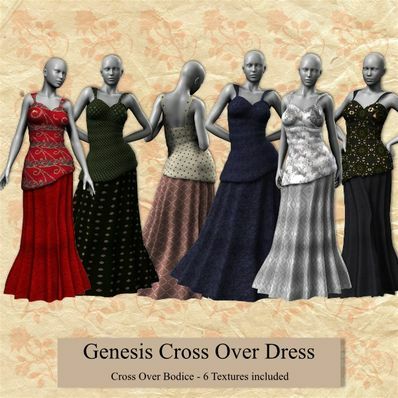 A Cross Over Dress for Genesis for use in Daz Studio 4. Beautiful Creation. I just love the above textures also. This is so usable and I am tickled to have it. Thanks! Beautiful lines, beautiful dress, thank you for the extra textures!